Renshaw Ready to Roll Icing sets firmly, cuts cleanly and is available in a wide range of colours to suit every cake decorating requirement. All colours comply with EU colour legislation and are manufactured using only non-hydrogenated fats. 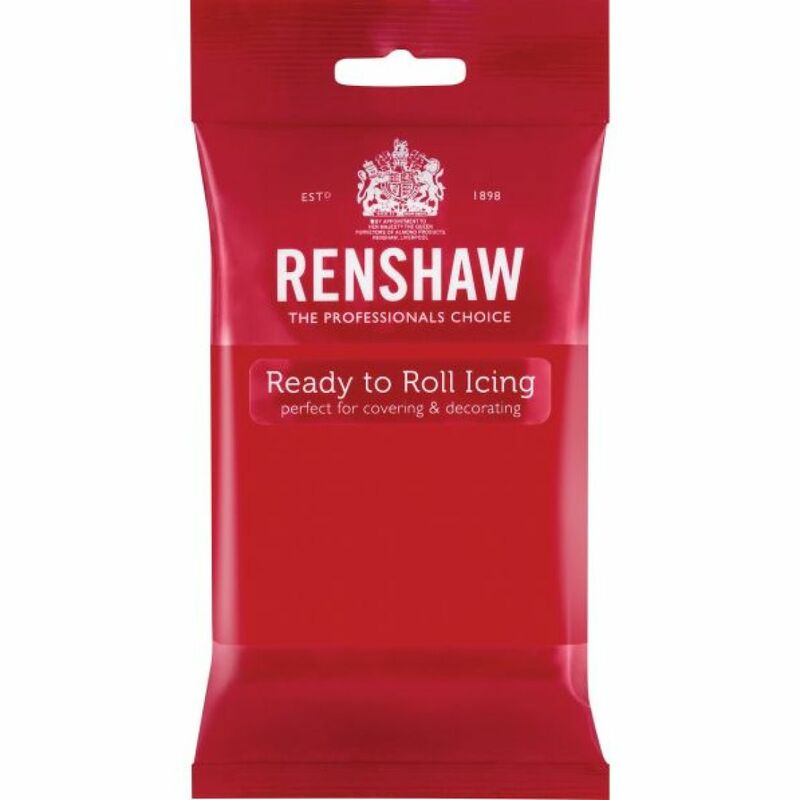 Renshaw Ready to Roll Icing is suitable for vegetarians and is also fully kosher certified. Sugar, Glucose syrup, Palm oil, Humectant: E422, Emulsifier: E471, Stabiliser: E413, Preservative: E202, Colour: E129, Flavouring. E129 may have an adverse effect on activity and attention in children. DIETARY GUIDE: Dairy-free & Suitable for vegetarians. Knead well before rolling out to prevent sugarpaste from cracking and crazing. Polish with the palms of your hands and use a cake smoother to give a smooth professional looking finish. Haven't used this yet, but cant go wrong with Renshaw and Squires delivery was very quick.